Jesus is the planned gift that God gave even before our world was created, even before there was the need for saving our world from sin. From God first to God always. We reveal that we have passed from death unto life when we act as faithful stewards of God’s grace. God has given us his goods; he has given us his pledged word that if we are faithful in our stewardship, we shall lay up in heaven treasures that are imperishable” (Ellen White, Review and Herald, May 15, 1900). Jesus is the planned gift that God gave even before our world was created, even before there was the need for saving our world from sin. Jesus is the “Lamb slain from the foundation of the world” (Rev. 13:8, NKJV). “He chose us in Him before the foundation of the world, that we should be holy and without blame before Him in love, having predestined us to adoption as sons by Jesus Christ to Himself” (Eph, 1:4, 5, NKJV). Have you ever thought about where you would be as a human if Jesus, the first and best planned gift, would have been born without having fulfilled God’s will? Jesus was born with the express purpose to die. Jesus was faithful to His life mission and completed His purpose for coming to our world to rid the universe of the curse of sin. Jesus is faithful always. Jesus ran to win. Jesus ran in a way that won our freedom to choose life again. “You know that many runners enter a race, and only one of them wins the prize. So run to win!” (1 Cor. 9:24, CEV). “In 1968, four athletes were sent on the long journey from East Africa to Mexico City in pursuit of Tanzania’s first-ever Olympic medal. While none returned with gold, silver or bronze, the name of one man—John Stephen Akhwari—endures to this day as a source of inspiration to countless athletes and fans in his country and around the world. “Akhwari, determined to improve his position during the Olympic Marathon race, was then involved in a pile-up with other athletes nearing the halfway point of the race, causing him to suffer a badly gashed and dislocated right knee, as well as a bruised shoulder. “Akhwari was advised to pull out of the race—indeed, 18 of the 75 athletes who lined up for the race would fail to complete the course—but courage and pride outweighed the intense pain he was suffering. After receiving some treatment and a bandage for his knee from roadside medics, the Tanzanian elected to continue, and finish what he had started. When everyone else had completed the race Akhwari was laboring in a distant last place. “As darkness fell and the crowd filtered out of the Estadio Olímpico Universitario, a lone figure embarked on the final 800m of his journey. Television crews rushed back to their spots to capture the moment that Akhwari limped over the finish line. God has given each human a mission to complete, and when that task is faithfully fulfilled, there is only a short sleep until eternal life. God has not put each human on earth just to be born. God has given each human a mission to complete, and when that task is faithfully fulfilled, there is only a short sleep until eternal life. God wants us to finish the race of life faithfully. A faithful life is one where God is always the center of focus. Following God’s will is the guiding purpose of the life of a faithful steward. 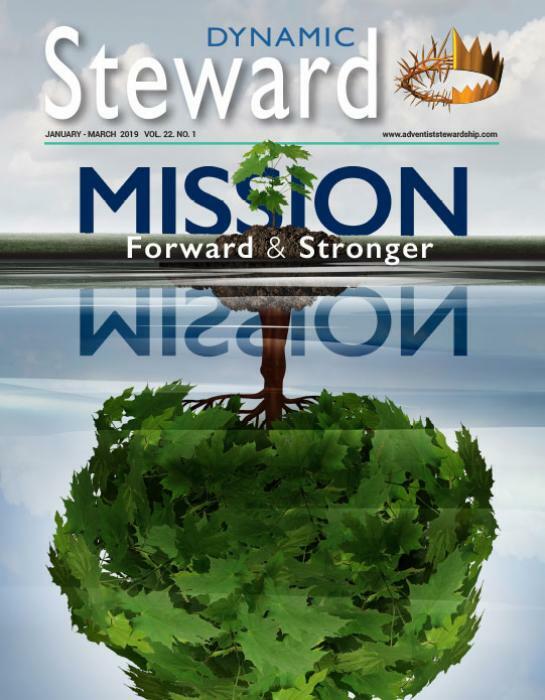 The focus of Planned Giving & Trust Services is to encourage every Seventh-day Adventist member to have a plan that honors God; a plan for passing on their faith, values, and possessions to the next generation of faithful stewards; a plan that remembers the mission of God to reach the world for Jesus. Every member can be involved in planning for the glory of God. In the athletic races in the city of Corinth, the apostle Paul observed that only one person would win the prize. Because of the faithfulness of Jesus Christ, all who run to the finish will receive the prize of eternal life. This is a prize that will not fade or wither, but one that will last for eternity. All who faithfully finish this race of life will hear the words of Jesus: “Come, you blessed of My Father, inherit the kingdom prepared for you from the foundation of the world” (Matt. 25:34, NKJV). I want to have God first in my life, with all my plans honoring Him. I want to follow God’s will for my life and in every respect be a faithful steward to the very end, having God always directing my plans. I invite you to make God first … God always, in charge of your life today. Dennis R.Carlson is the director of Planned Giving & Trust Services at the General Conference of Seventh-day Adventists, Silver Spring, Maryland.